Punched Up is a storytelling podcast created and hosted by Michael Malone. Michael is an award winning Stand Up Comedian and Film Director. 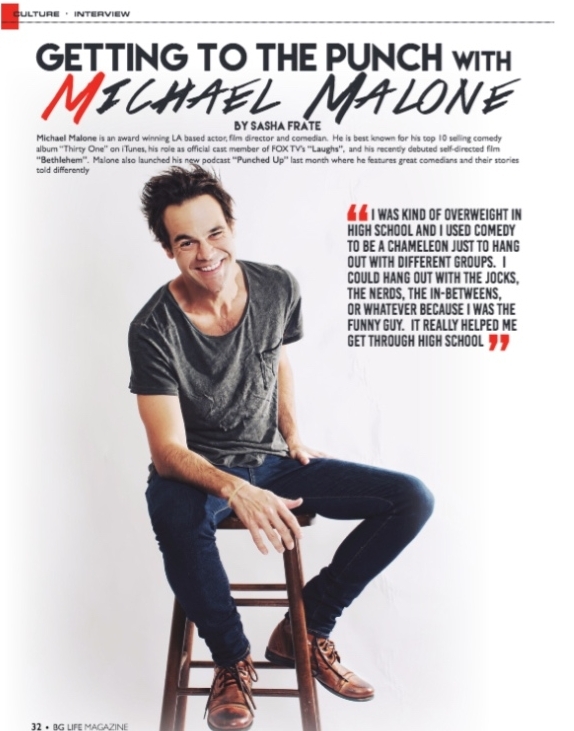 Michael's blistering humor and irreverent views on life, love and personal tragedy have earned him two top ten best selling comedy album on iTunes and recognitions like Campus Activities Magazine's Top Comedy Performer of 2014. He was also named "Hot Comic to Watch in 2013," and was the winner of the prestigious 33rd Annual Seattle International Comedy Competition in 2012. Michael has been featured on the Bob and Tom Radio and TV show. He's also made appearances on WGN, National Lampoon’s Operation Comedy Tour, NBC, The CW, XM Sirius Satellite radio and was named "Next Big Thing in Comedy" and asked to be an official cast member for season 2 of "Laughs" on FOX TV. Last year Michael made his jump into the film world and will be starring in three feature length films and a documentary.. Check out www.MaloneComedy.com for videos, tour dates, and tons of exclusive content. The clips you heard on the show are all licensed through the guests personally. The music you heard is licensed through YouTube Audio Library. Sound engineering by James Warburton. Story Consulting by Hillary Tribbett. Produced by Michael Malone. Punched Up is teaming up Ignite Hospitality Services to bring comedians, artists, and entertainers discounts on their hotel rooms by using trade out and referral programs. Save money on your next hotel by using Ignite Hospitality Services. It’s easy, go to http://www.ignitehospitalityservices.com and type in the words “Punched Up” in the credits section on your sign up form.